Even before Nikon announced its Z series cameras, most observers were predicting that the company would also announce an adapter alongside the mirrorless system, allowing photographers to use their F-mount glass as seamlessly as possible. That prediction came true in the FTZ adapter, which does let you use Nikon F-mount lenses on the Z7 – with varying degrees of compatibility. We’ve already covered two issues with the FTZ adapter: its awkward height and its decreased autofocus reliability. The height issue – a mismatch compared to the bottom of the Z7 – means that you’ll be switching tripod plates on and off the camera with some frequency, at least until companies like RRS and Kirk start shipping their L brackets. Until then, you might have to go through a convoluted process of removing and attaching tripod plates each time you switch between the FTZ adapter and a native Z lens. So, don’t forget your hex key at home. The autofocus issue is a bigger problem in the long run, since it’s not something that will be fixed by a third-party product. Specifically, the FTZ adapter leads to noticeably slower autofocus than a comparable native lens, and the camera also gives up more easily before it has acquired focus. That’s not a fatal flaw, since the accuracy of autofocus is still quite high when it does lock on. But you’ll definitely wish you had a full set of native lenses in the end. One other issue, surprising or not, is weight. The FTZ adapter has no glass elements; it’s hollow, just like an ordinary extension tube. So, it weighs very little – just 135 grams. But that’s enough to shrink the weight advantage of the Z7 compared to full-frame DSLRs. For example, the Nikon D750 is (coincidentally) 750 grams without battery or cards. The Z7 under the same conditions is 585 grams. That’s a difference of 165 grams, very similar to what the FTZ adapter weighs. So, until you’re using all native lenses on the Z7, you’ll have to carry around an extra piece of equipment that negates some of the Z7’s weight advantage in the first place. Not ideal. 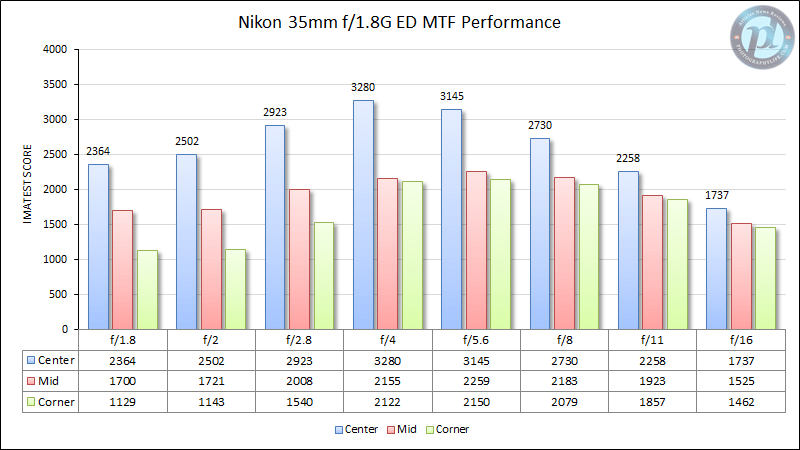 On the bright side, Nikon is right to state that there is no loss of sharpness when using the FTZ adapter versus natively using the F-mount lens on a DSLR. We tested several lenses on both the D850 and the Z7 with the FTZ adapter, and the results were consistent – both images were equally sharp each time. 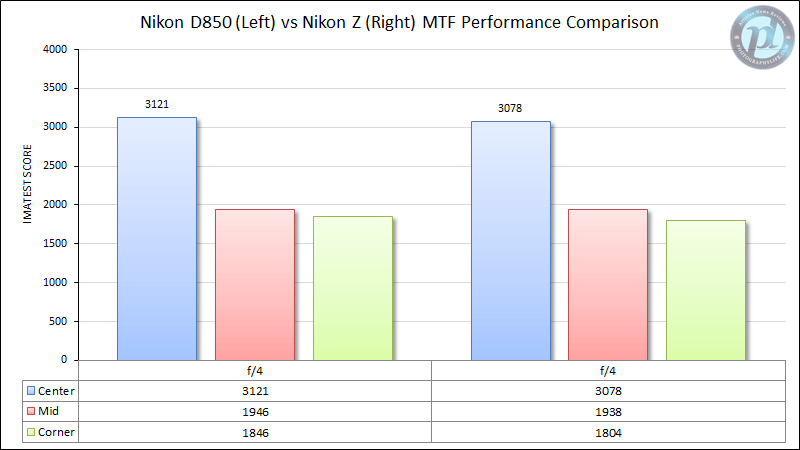 As you can see, the Nikon D850 with the 35mm f/1.8G measured pretty much at the same level of optical performance as the Z7 with the FTZ adapter. The former is a tad sharper, but that 1.4% difference in the center frame is likely a margin of error. The mid-frames, along with the corners yielded pretty much identical results. Although the lens we used was not as great of a sample compared to the Nikon 35mm f/1.8G ED from our detailed review (this one was Spencer’s copy that he has used heavily in the field), it still served well for this comparison. 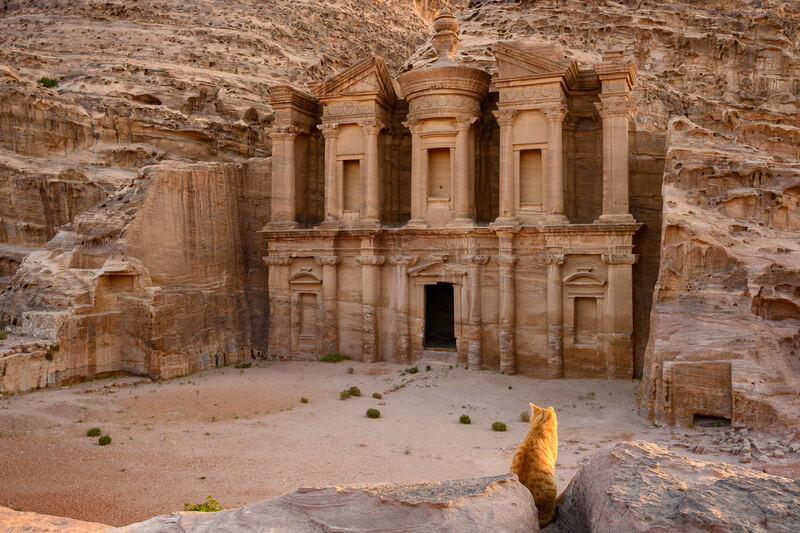 We also tried to perform similar tests using a few other Nikkor and third party lenses, including the Nikon 85mm f/1.4G and the Sigma 24-35mm f/1.8 Art and the results were consistent – the Nikon Z7 with the FTZ adapter showed almost identical performance as native F mount lenses with the D850. This shows that you do not have to worry about any sharpness losses with the FTZ adapter. 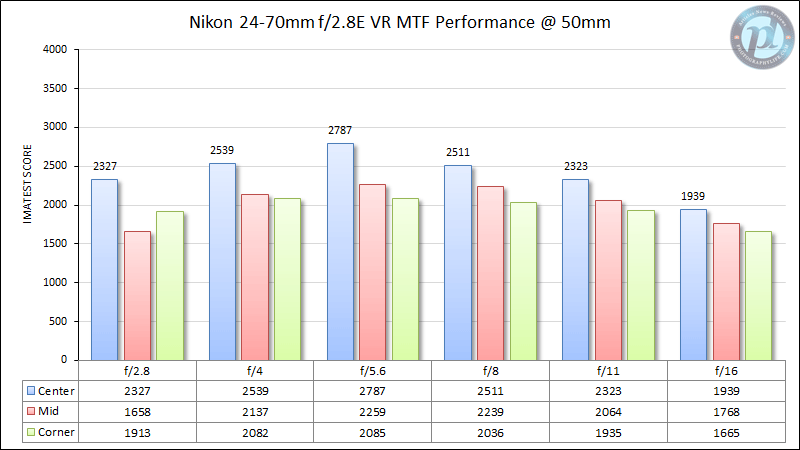 Nikon has done a good job in making sure that you get the best out of the Nikon F lenses on the Z-series cameras, which is great news. The last important issue with the FTZ adapter is compatibility with Nikon F-mount lenses. Although Nikon advertises that the adapter works with practically all F-mount glass, the reality is that it’s meant for certain lenses more than others. If you have a newer AF-S or AF-P type Nikkor, you’ll be fine; they work with autofocus and all other features on the Z7 with the FTZ adapter exactly as expected. Nikon is making a bet that most Z7 users will mainly (or only) have this newer glass. Most likely, that’s accurate; only a fraction of the people considering this camera will have a large set of classic glass. But if you’re one of those photographers, keep in mind that the Z7 might not be perfectly compatible with your lens. Specifically, if you have an AF or AF-D lens, it will work on the FTZ adapter without a problem, except it won’t autofocus. You still get full EXIF data and access to all PASM modes, as well as newer features like IBIS and focus peaking. But you can’t take advantage of the autofocus feature that has been available on these lenses since they arrived on the market decades ago. Manual focus lenses are a bit of a mixed bag. With AI-P lenses, you’ll get full compatibility, including all the PASM modes available, exactly as you’d like. 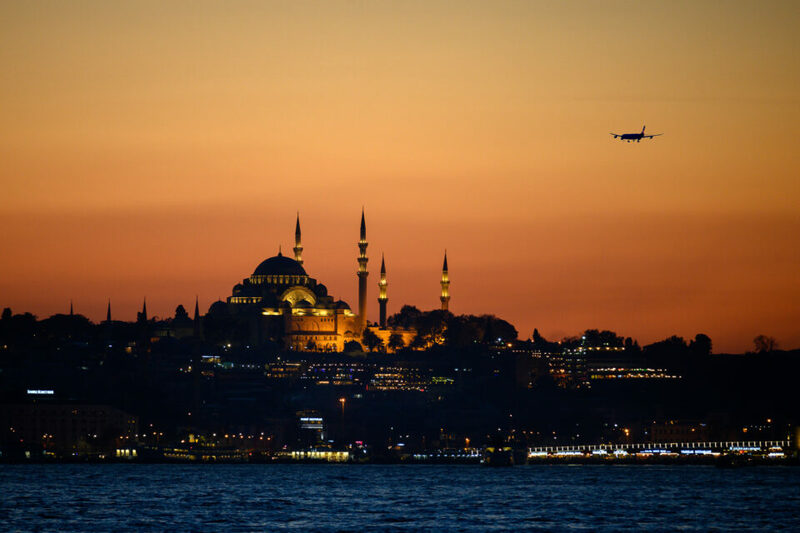 With the more common AI, AI-S, and E Series lenses, you need to use aperture priority or manual mode in order to get metering, combined with entering non-CPU lens data correctly. You also will not get proper EXIF data with those lenses and the FTZ adapter, with the Z7 instead reading out the lens’s largest aperture for each photo. The good news is that focus peaking and IBIS work properly regardless of the lens you adapt, which helps revamp some of those old Nikon classics in a way that many photographers will appreciate. In particular, I think video shooters will be excited to pair the modern Z7 with older lenses for impressive results. When it comes to third party lens compatibility, our team and our readers had a chance to test some Tamron and Sigma lenses on the Nikon Z7. While every Sigma lens reported to work without any issues, some Tamron lenses are known to have incompatibility issues with the FTZ adapter. Specifically, some of the newest G2-series lenses such as the Tamron SP 24-70mm f/2.8 G2, Tamron SP 70-200mm f/2.8 G2 and Tamron SP 150-600mm G2 cause the Nikon Z7 to display an error message and they do not work. Hopefully Tamron will come up with a firmware update to address this problem as soon as possible. 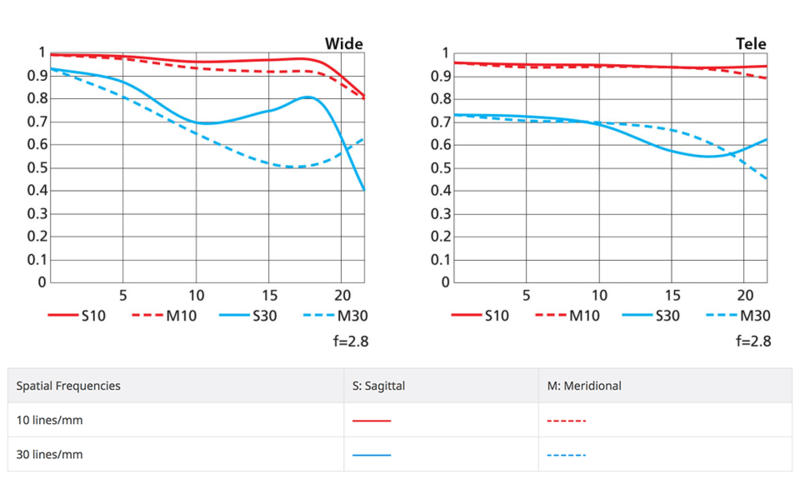 One doesn’t even need an in-depth understanding on how to read MTF charts to figure out that we are dealing with a new level of optical performance that we have never seen before. Just take a look at how much better the Nikon Z 24-70mm f/4 S is at the edges of the frame at the wide end, and how superior its sharpness is (the blue line) at the telephoto end. 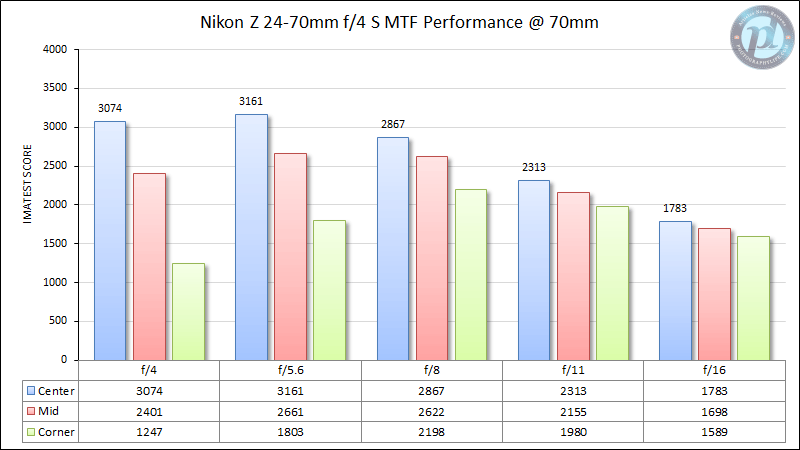 However, MTF charts typically tell very little about the actual performance on a lens, especially when stopped down. Plus, we are missing the performance of all focal lengths in between, and really looking at a “theoretical” potential performance of a lens, based on computer analysis. After we got our hands on six Nikon Z7 kits, we were excited to test more than one sample in our lab. The first reason for our excitement, was that we wanted to see how much sample variance there is between the new Z-mount S-series lenses. 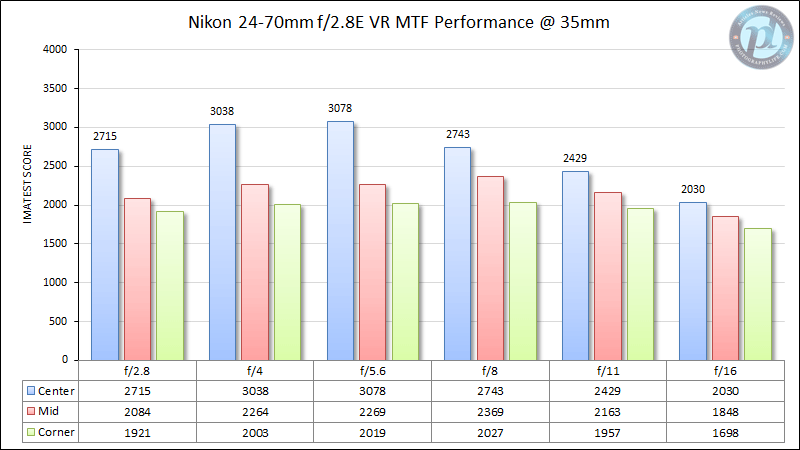 Nikon pointed out that they had to increase their manufacturing standards when producing Z mount lenses for top optical performance, so we wanted to see how much of that is actually true. 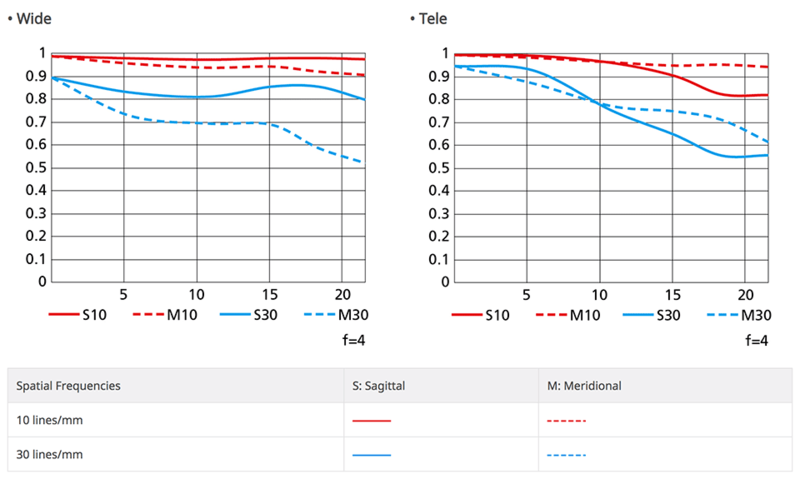 The second reason was that we wanted to present valid data to our readers about the potential performance of a lens based on multiple copies and not just one sample. 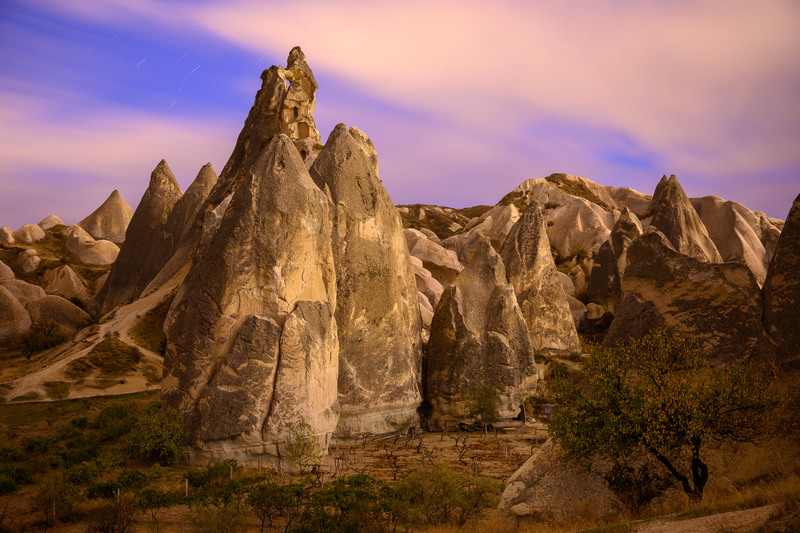 We always try our best to measure the performance of lenses based on at least two copies of the same lens, but in this case, we were able to put a total of four 24-70mm f/4 S lenses to the test. We have some exciting news to share. In terms of sample variance, all four of the Nikon 24-70mm f/4 S turned out to have very similar performance, which indicates that Nikon’s quality control has indeed increased dramatically for the S-series lenses. 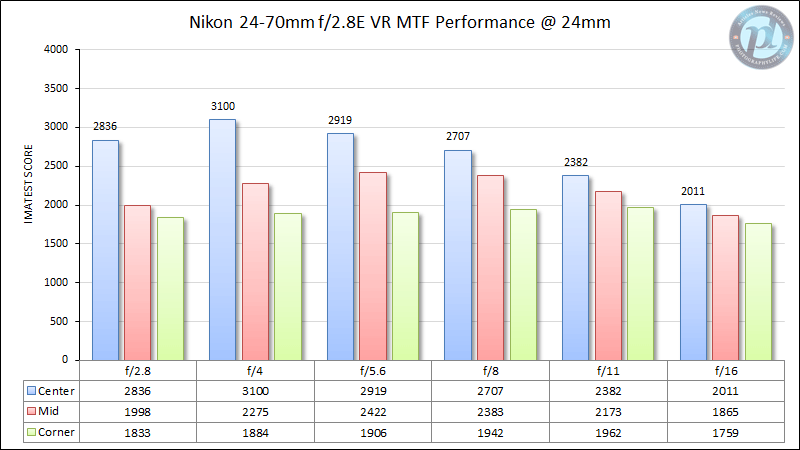 Having tested such lenses as the Nikon 24-120mm f/4G VR in the past, I know that sample variance can play a huge role in the overall performance of a lens. I own a superb copy of the 24-120mm, but I have seen some samples that had completely unacceptable sharpness and decentering issues. The same goes for other zoom lenses like the Nikon 16-35mm f/4G VR. The Nikon Z 24-70mm f/4 S drops in sharpness at the long end, especially at wider apertures. However, it still outclasses the Nikon 24-70mm f/2.8E VR in the center by a big margin and shows better performance stopped down to f/8. It is clear that the new Z lenses are clearly benefitting from the shorter flange distance and an updated optical formula. The fact that a zoom lens is outperforming a much larger, heavier and pro-grade lens says a lot about the Nikon Z system. 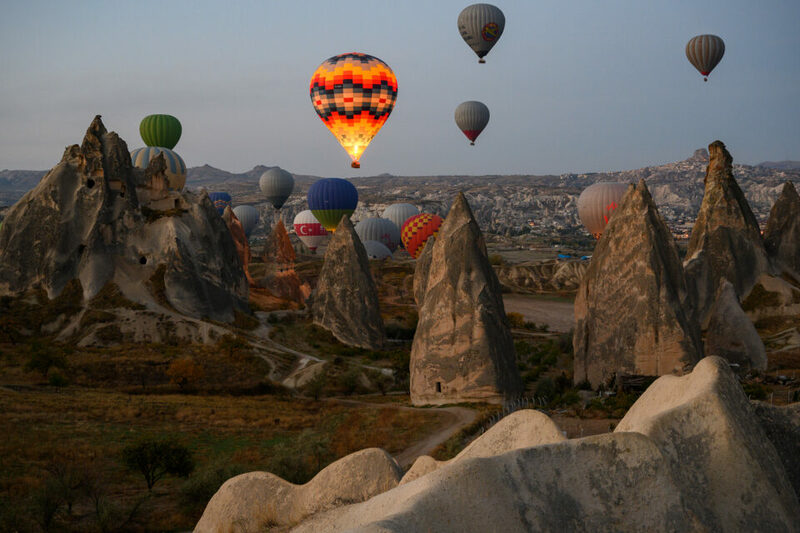 However, there is one “gotcha” with the new Nikkor Z lens designs – they do get automatic distortion corrections both in camera and Lightroom that cannot be turned off. The Nikon Z 24-70m f/4 S specifically has quite a bit of software correction built-in that hides the huge amounts of distortion it has. We will cover all this in the upcoming review of the lens. Although the wide open performance of the lens is pretty decent, it is not ground-breaking when compared to the Nikon F counterpart, which even slightly out-resolves the lens in the center. However, when stopped down to f/2.8, the Nikon Z 35mm f/1.8 S shows its true resolving capabilities that make it stand above all other lenses we have tested so far (maybe with the exception of the Nikon 28mm f/1.4E ED, which was the sharpest lens we’ve tested on the Nikon F mount). The sharpness of the lens is outstanding from f/2.8 to f/5.6, where it outperforms the Nikon 35mm f/1.8G ED both in the center and in the mid-frame. We can’t wait to test this lens out as soon as it arrives – we will update this section with our Imatest results. The first three lenses released for the Z7 are, on paper, a little boring: 24-70mm f/4, 35mm f/1.8, and 50mm f/1.8. Personally, I don’t mind boring; Nikon clearly needed to release at least a normal zoom and a 50mm prime, or they’d be facing (online) riots. 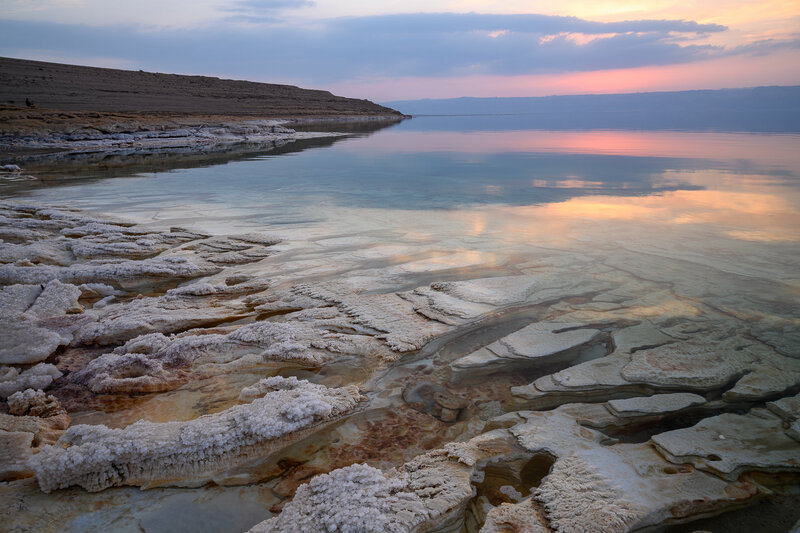 The 24-70mm f/4 in particular is a great lens that has no direct Nikon F-mount equivalent. But photographers looking for something outside the normal range will have to wait until Nikon releases new lenses for the Z series in the upcoming years. That makes some of the other problems mentioned in this review a bit more of a problem, particularly the issues with the FTZ adapter. Along with those, another 11 lenses – three in 2020 and eight in 2021 – are included on the roadmap, but so far are unnamed. 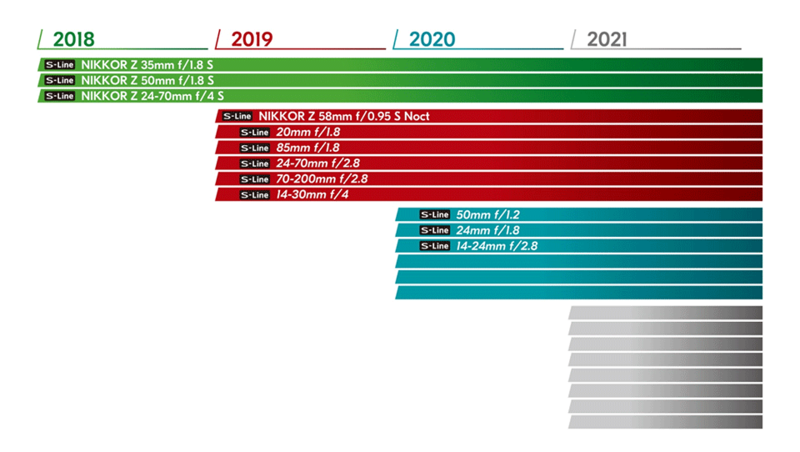 Also worth noting is that everything in the roadmap above is an “S” series professional lens, although Nikon has suggested that they will also release non-S lenses along the way. Whether these will be separate from the roadmap above, or simply are among the unnamed lenses in 2020 and 2021, is yet to be seen. This is a nice set overall, and it shows a bit more about where Nikon thinks the Z series will move in the future. Note the dominance of primes on this list, with seven prime lenses and five zooms announced so far. Two of those prime lenses have ultra-fast apertures of f/1.2 and f/0.95, showing their low light prowess (and perhaps value to video shooters). There also are several interesting wide-angle lenses in the works, including two zooms and one prime that are wider than 24mm – and another three lenses exactly at the 24mm mark. By contrast, the only two lenses on the list that are clear telephotos are the 70-200mm f/2.8 and the 85mm f/1.8, although the two 24-70mm zooms are close. It seems that Nikon wants Z7 users to adapt telephoto lenses at this point, unless the 70-200mm f/2.8 fits your needs. Although that isn’t the end of the world, I suspect that many photographers were hoping for a (presumably) less expensive telephoto to use with the Z7 and Z6, without resorting to the FTZ adapter. This isn’t just about the FTZ’s autofocus issues, either; any time you carry along the adapter, you’re losing most of the weight savings that come from choosing the Z7 over a DSLR. So, in my opinion, the most glaring omission from the roadmap is a telephoto lens with a smaller aperture. As good as the 70-200mm f/2.8 is likely to be, an f/4 version – or even a variable aperture f/4.5-5.6 version – would be much lighter and less expensive, potentially without sacrificing image quality along the way (in the style of Nikon’s F-mount 70-200mm f/4). A weight-conscious camera like the Z7 deserves a good set of lightweight zooms beyond just 70mm. Couple this camera with the 14-30mm f/4, 24-70mm f/4, and a yet-unseen 70-200mm f/4, and you’ll have a killer kit for landscape photography that won’t drag you down by the end of the day. Some other lenses would be nice to see, too: anything longer than 200mm, a native macro lens, a prime longer than 85mm or wider than 20mm, and (don’t cringe) a superzoom. I could also see a lineup of lightweight, pancake prime lenses for the Z series – f/2.8 or even f/4 – selling extremely well, particularly for backcountry landscape photography or international travel. I know I’d consider them. Regardless, Nikon’s Z lens lineup looks quite promising at this point, especially considering that Nikon has only announced the identities of 12 total lenses. You can’t please everyone so early. Here’s hoping that their upcoming batches ship sooner rather than later; the FTZ adapter works fine in the interim, but I’m eager to use all-native Z lenses before long.